A new quality in the study of atomic Rydberg interactions arises when the number and the position of the atoms involved can be exactly predefined. This leads to tailor-made atom configurations and controllable interaction parameters. The investigation of large-scale quantum dynamics in addition benefits from scaling up the system size, i.e. number of atoms arranged in defect-free patterns. Large-scale clusters of individual atoms have been created by a research group at the Technische Universität Darmstadt within the GiRyd consortium: Two-dimensional registers of several hundred optical traps are created by microlens systems holding at most a single atom per site. In order to remove possible defects, optical tweezers are added to pick up an atom from a reservoir site and move it to an unoccupied site in the target cluster. Defect-free structures of up to 111 atoms have been created in this fashion - defining the state of the art worldwide. The implementation of controlled Rydberg interactions in these systems is pursued currently. The image above shows the programme name 'GiRyd' visualized by recording the fluorescence light of individual atoms arranged in form of the constituting letters. 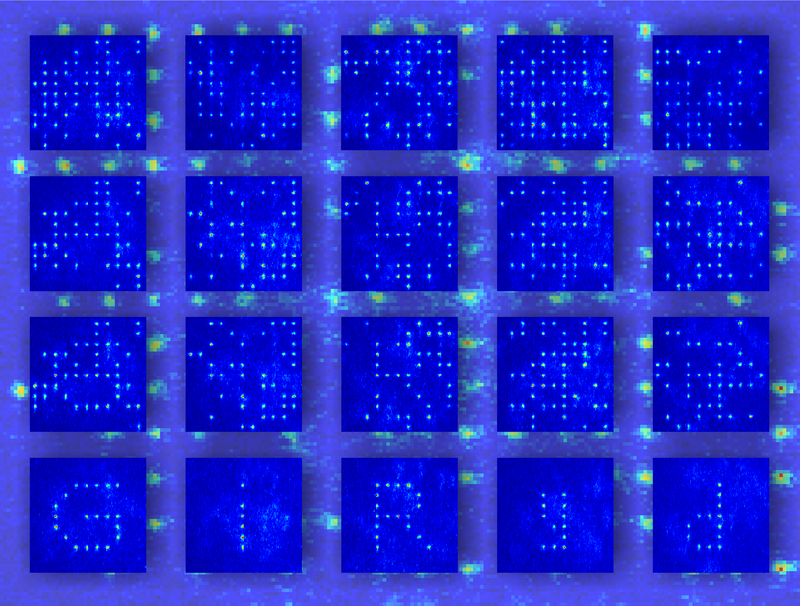 Each defect-free letter (bottom) is created from a stochastic distribution of single atoms in the reservoir grid (top) via a sequence of several atom rearrangement cycles depicted in the individual columns. For more information read the paper on arXiv, consult the website of TU Darmstadt or contact Gerhard Birkl.